Every year springtime returns to New Brunswick and P.E.I. Generally the nearer you are to the equator, the earlier it returns. I only say that because northern N.B., as of May Day, may have several metres of snow in places. In the south near the bay and around the island, spring has arrived. The middle of the province is under water. Such is nature. As for Landscape NB/PEI, late April is a time to wrap up the last of the “off season” events, plan for the future both near and far, and reflect. That’s what this is about, reflection. Please gather round close, pour a drink of choice, and have a listen. What a winter it’s been. Our three blocks of apprenticeship training are completed. All ran at pretty close to capacity, and it’s so nice to have participation from across the bridge in P.E.I. The island now has two new Red Seal Landscape Horticulturists and N.B. has four, with a rewrite in the works. The skills competition was a big success for us. Jamey Smith from Island Coastal Services Landscape Division brought us a fantastic design for a legacy garden in memory of the three slain Mounties in Moncton. During the competition our three teams constructed three permanent landscape features. Kevin McLean and Andrew Maker were judged the winners, and will head to Edmonton to carry the flag for N.B. Andrew Stokes Rees and Justin Vickery took silver, and Rebecca Lockhart and Matt MacKay (our first island competitors) received bronze. These guys are my heroes. In fact, all those who competed, judged, volunteered and donated supplies deserve credit for edging the industry upward and onward. 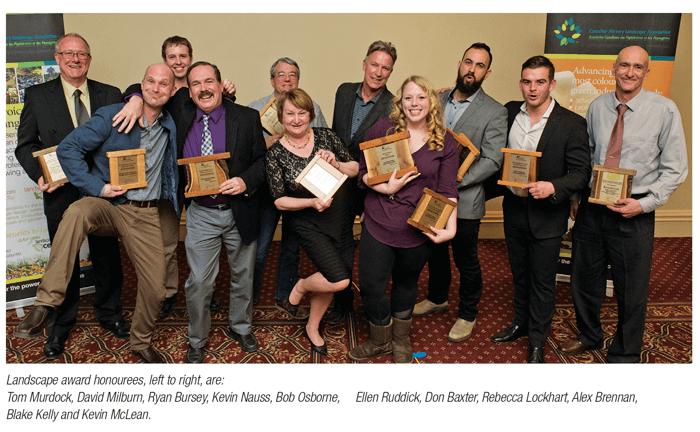 In April, LNB/PEI hosted its 15th annual spring gala and landscape excellence awards in Fredericton. I had a good view as I was facing the room, and everyone seemed to be having a good time. We gave out 11 awards, perhaps the most significant going to Tom Murdock of Allgreen Landscaping in recognition of his life in the industry (thus far). To me, the main event was something we have never tackled before. Our past president David Milburn of Focal Point Landscape Design and Installation got it in his head that LNB should take the lead in assembling teachers, guidance counselors and education “decision makers” in one room, to talk about what we can do collectively to get our children to “come alive outside.” We called it “seeding the future in N.B.” and as that implies, we have a selfish, ulterior motive. By giving more young people an opportunity to “fall in love with nature,” our industry will reap benefits down the road by having greater ability to steer them into a career in the only truly green industry. It is interesting to note that many schools have some great programs already, so a portion of the day was spent sharing. The best part of the day was having participants interact with Adam Bienenstock, the natural playground guru. He had delegates in groups of six at a dozen or so tables, and asked them to construct mockups of natural playgrounds using wet sand, rocks, sticks and the principles he discussed earlier in the day. Everyone had a fun and meaningful day, with the exception of the hotel staff, who were apprehensive at best. 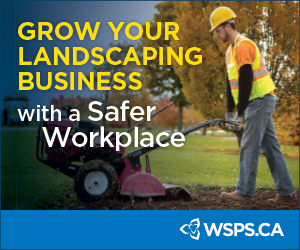 We proved at the end that landscape horticulturalists can clean up a site like no other, so the police and the lawyers were not called in. LNB wants to move forward with this, as we see it is relationship-building and we can enhance what we have already started with National Tree Day and the Vimy Oak Legacy project. Not just with the school system, but with communities. As fate would have it, there was a Green Cities conference going on at the same venue, and we had the opportunity to continue a dialogue with them. It’s worth mentioning that we had a local multicultural association there as well. All these are little pieces of a beautiful green puzzle.